The seventh installment of the cult mobile racing series, launched by Gameloft. The game offers 60 licensed cars, 15 different routes and a typical arcadic driving model in a spectacular graphic design, enriched with a new multiplayer mode. 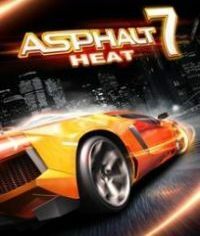 Hit the speed of heat in the newest, fastest, most visually stunning edition of the famed Asphalt series. Drive 60 different cars from the world’s most prestigious manufacturers, like Ferrari, Lamborghini and Aston Martin, including the legendary DeLorean. Gear up to race on 15 tracks set in real cities around the world, including brand new tracks in Hawaii, Paris, London, Miami and Rio.